TOIS provides dynamic and real time reporting for clients and admin users. 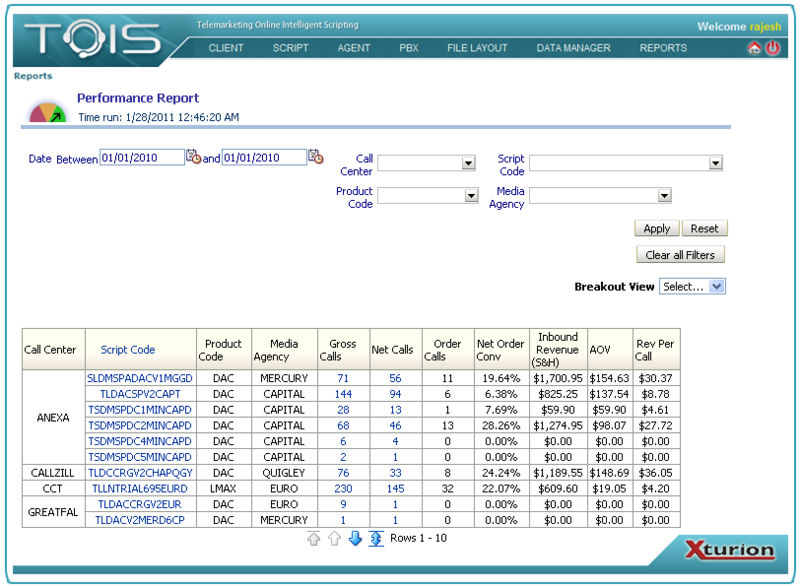 TOIS is designed to capture and report on data available within the TOIS scripting application and the call management system to be used. TOIS can be utilized as a standalone product and integrated into existing call center technology or can include packaged PBX technology. 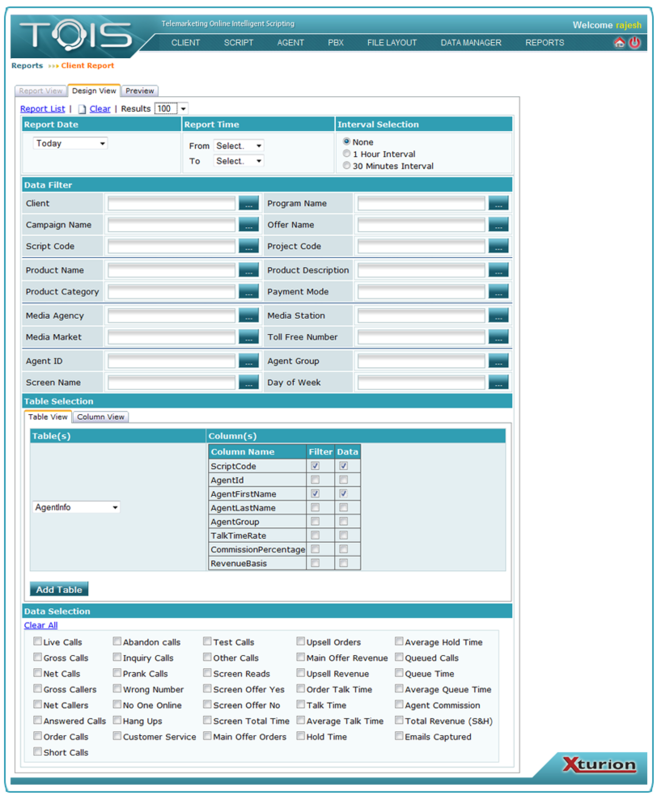 The Design View section enables users to select queries and run reports. Users can select date ranges, time intervals, reporting filters, data from scripting tables and data from the data selection area. Once reports are run the user will use the Preview section to preview the report, save it and name it. The saved reports will be moved over to the reports list area for future reference. Reports can be exported into CSV, Excel and Word formats. TOIS provides unprecedented visibility and access to all available data. 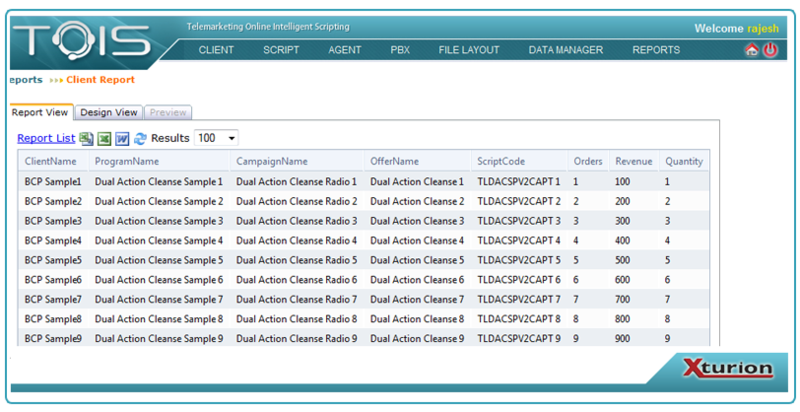 It captures, consolidates and provides a single point of view for all clients, campaigns, scripts, agents, and reporting data. It delivers real-time insight into the effectiveness of different campaigns, scripts, and offers so adjustments can be made quickly to achieve the best business outcomes.